Welcome to The Baking Class the training institute for Baking cakes and other related products. You have reached the right destination if you are looking for training and hands on experience on baking. Cake baking is not complex but it is an art. The right mix of ingredients and procedure followed to perfection brings you the best output. Baking cakes have never been so easy and the interest it has generated recently is enormous. There are so many methods that are adopted while baking a cake and the excitement that is derived after seeing the output is worth the wait. 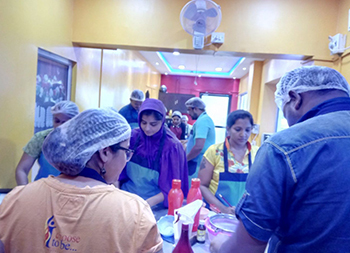 The Baking class derives its happiness in teaching cake baking to its students and the real happiness lies in imparting knowledge and making the students bake their own cake. 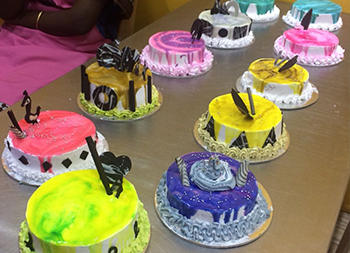 The Cake baking classes are carefully designed to cover various aspects of baking and provide students through knowledge & understanding. 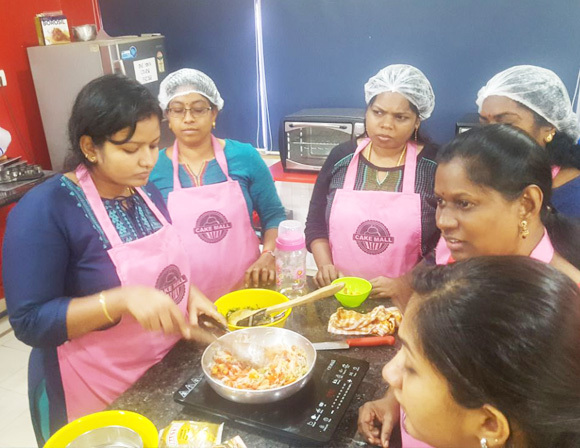 The baking classes are conducted by the experts and chefs give you immense insight of various important aspects such as usage of raw materials, creating right blend and setting up perfect oven temperature etc. 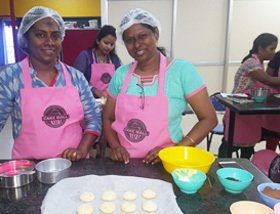 Our baking class is designed to meet 100% hands on experience which means you would be baking the cakes yourselves and on the top of it work on icing & piping techniques to decorate the cake. The baking courses offered at The Baking Class are properly planned, structured and tailored to cater for the training needs of the students and market analysis. 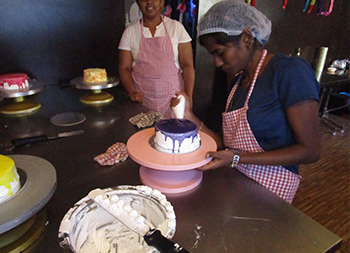 On completion of these courses, students are fully equipped with productive knowledge of baking. The training also equips the students with the required skills and competencies which will help them in their baking careers and activities. The Courses at The Baking Class comes with different variants such as Egg & Eggless and it is up to the student to choose their preference. Below is the list of few of the popular courses offered by us. The student would receive support for all the courses that they undertake through Cake Mall. The student would be provided with Booklet consisting of the course content with details and recipes for each of the above mentioned courses. The Online courses at Cake Mall have different types of courses and students would be provided access to Tutorial videos where they can watch closely and follow the chef instructions. The Baking Class Corporate personalized training programs would resolve your man power crisis. We would recruit on your behalf and conduct training programs for the staff and these customised training programs would help them to understand more about your Bakery and working environment. The Chefs here understand your requirement; create a course content based on your requirement and once mutually agreed would start the program as per the agreed schedule. 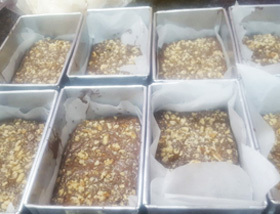 We have conducted many such training for various Bakeries and have been quite successful. Please contact us for more details. I enjoyed the baking session at Cake Mall. The chef were friendly and I was able to understand from the word go. They started little late and I was wondering how they could complete as promised but once the class started, it was fantastic and moved in great pace. Each and every step was properly explained and the output was very good. They can add new dishes to the course and I sincerely request to start on time. I would like to thank the Chef who was very patient and explained clearly every step and was able to answer all our queries. One of the best places to learn baking professionally. Although I have been following them quite regularly in the social media, I was little hesitant to take a call. I did decide and went to their weekend session in Velachery. Awesome is the word as the class was fantastic from the word go. It was very good experience as the class was from the basis of baking and moved to Frosting and decorations. It was quite surprising that I was able to bake on my own under the guidance of Cake Mall chefs. I am super confident now. Thank you so much Cake Mall. Attended 5 weeks course with Cake Mall on Business baking. Excellent exposure and if you want to start a bakery business, I would strongly recommend to attend this course. More than 60 recipes in the course and each of them hands on experience and through understanding. I hope they would support me after I start my own bakery. Thank you Cake Mall for making me ready to start my own bakery. 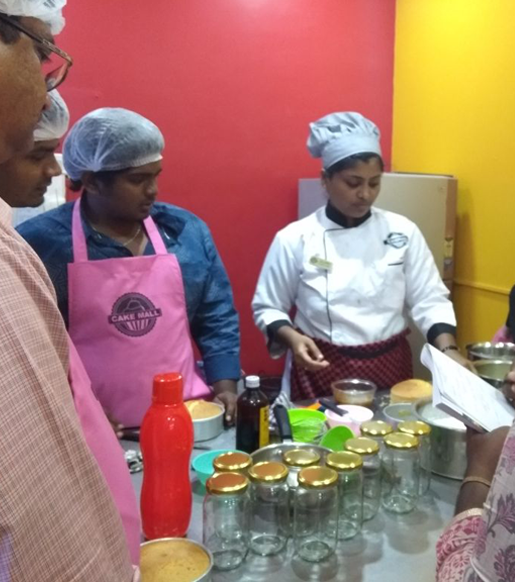 One of the best places to learn baking I went to their weekend session in Nungambakkam It was very good experience as the class was baking for beginners and moved to Frosting and decorations I am confident now that I can be a good baker. Even after the classes if you ask for any doubts the chefs would respond to your questions immediately.Great experience.Awesome feel. Nice Place to learn baking. Very Good place if you are a beginner as the course starts from basics of baking. They start teaching from measurement techniques and the one day workshop was pretty good overall. The best advantage is hands on experience which they provide and I think this makes them stand apart from other centres.